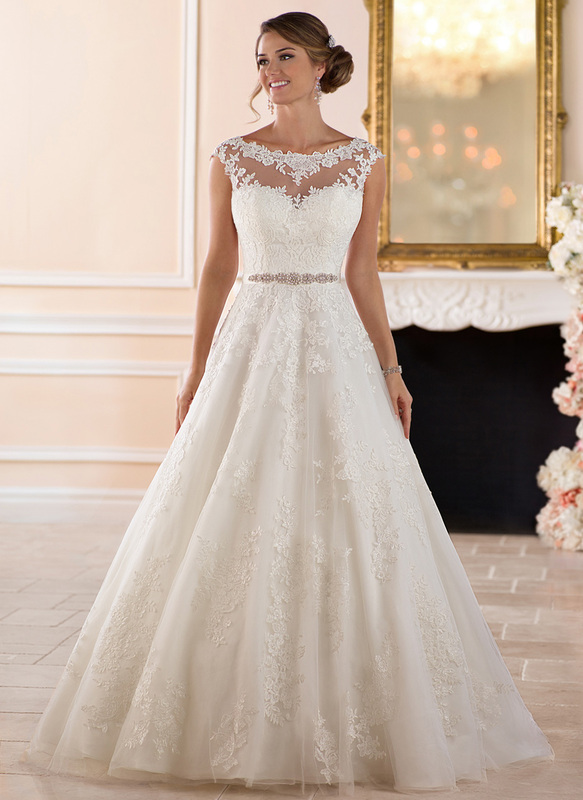 Perfect for a beach wedding, this chiffon wedding dress is simply sweet. 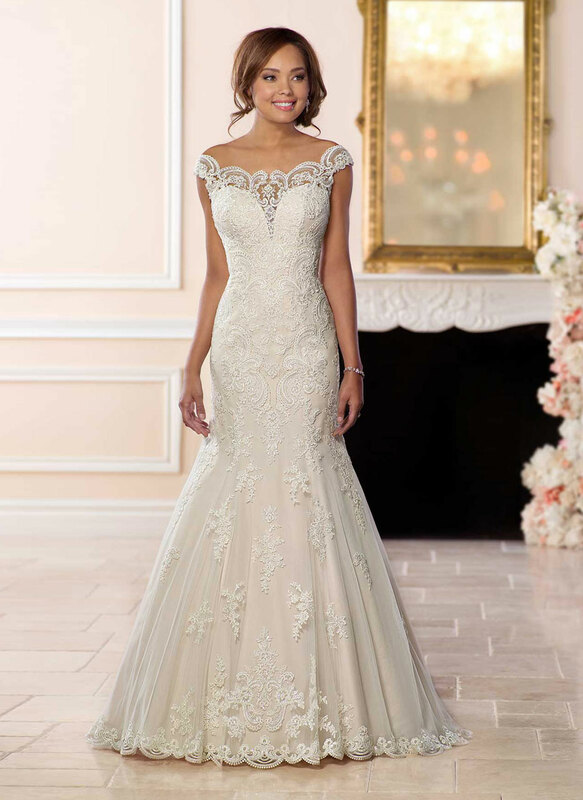 Lace and crepe chiffon creates a breezy and romantic sheath silhouette with a boho halter neckline and natural waistline. 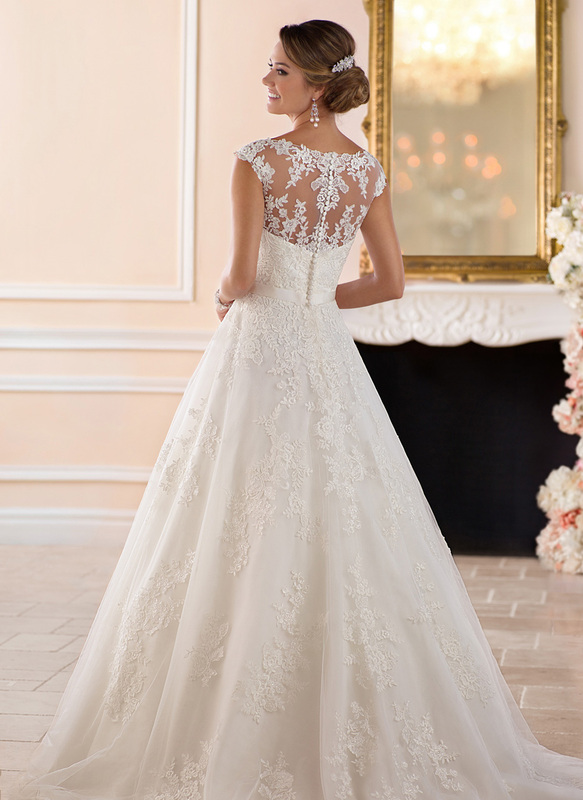 Lace applique flows down the bodice onto the skirt and highlights the matching detail that edges the train in very subtle but impactful style. 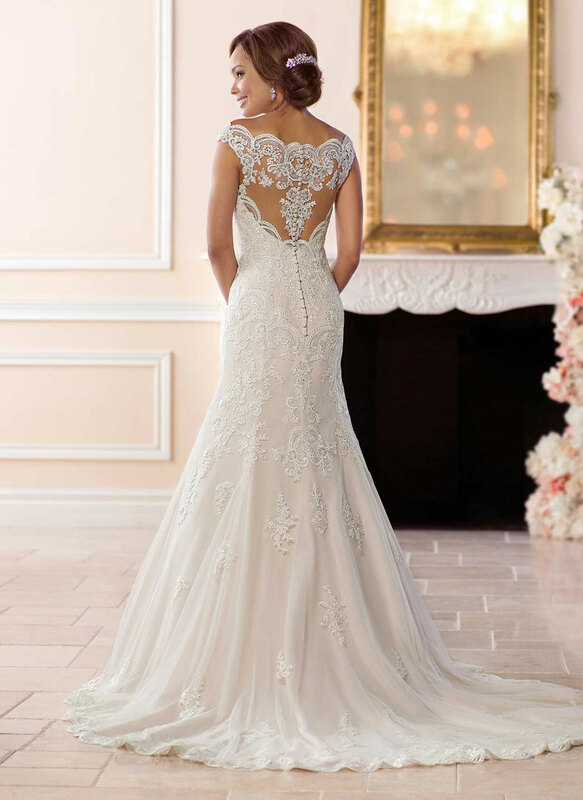 This light and clean lines are complemented by a cameo lace illusion back, which meets just above the small of the bride’s back.